Why do so many ugly shoes (hush puppies, uggs, crocs) get so popular and so quick? Because often when a group of hipsters decide to endorse a product the sales will accelerate over night from minimal to exponential. Similar to how outbreaks in diseases can be traced back to a small group of infectors, trends can be traced back to a handful of key influencers (what Gladwell calls connectors, mavens, salesmen). The Law of the Few – a few key people are the ones who will influence the masses. Therefore if you are a marketer focus all efforts to a small group of influential people and your message will spread further than if you dumped it out to the masses at once. The Stickiness Factor – compels the phenomenon to “stick” in the minds of the public and influence their behavior. Makes people want to pay close attention. This is usually because a major attribute of stickiness is the dramatic divergence from what most people believe and know. Examples from Sesame Street teaching literacy through the t.v. (unheard of!) to yes… skinny jeans. The Power of Context – essentially saying it all depend on the particular circumstance. If someone throws a snowball at me it might be out of line but not in the context that I just threw one at them. Do you act the same at the opera as you do at a baseball game? Airwalk shoes which created a marketing campaign that honed in on several timely avatars of coolness like Tibetan Buddhism, pachuco gang culture and hipsters’ ironic embrace of preppy culture. They were very successful as they combined this with having limited edition sneaks only sold in boutique shops and putting a more general sneaker in department stores. The main factor that led to their demise was they started providing all their distributors with the same line of shoes. 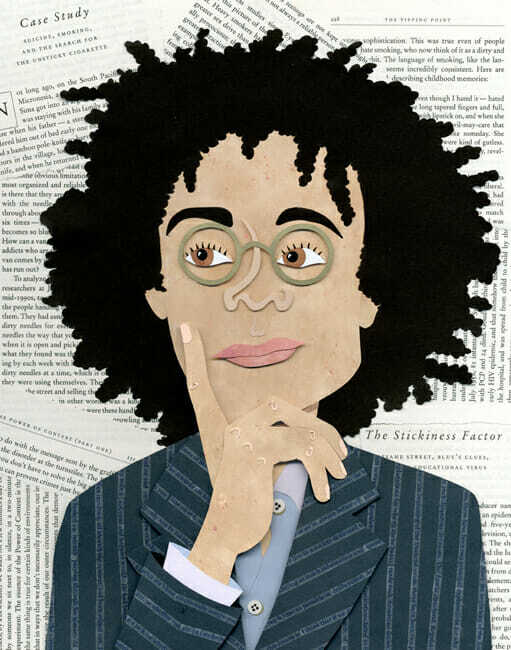 Gladwell says teenagers are wired to try on different personas, behaviors and to experiment during adolescence. In addition those who like to emulate others are more likely to engage in dramatic easily romanticized behaviors, everything from smoking to suicide. Gladwell even concludes that infrequent drug use should be expected as normal in teenagers and therefore benign behavior. He encourages us to use logic and reason to think outside the norms. For example one who understands the logic behind the tipping point would see that a nurse with a tight budget who wants to raise awareness about breast cancer could enlist in the help of hair stylists. As one can reason a hair salon is a place where people’s guards are let down and a lot of gossip, ideas and influence is exchanged. This can be the tipping point.